The traveling dogs and their handlers got a helping hand from the Nisqually Tribe when they were stranded on their way home from Anchorage after competing in the Iditarod Trail Sled Dog Race. 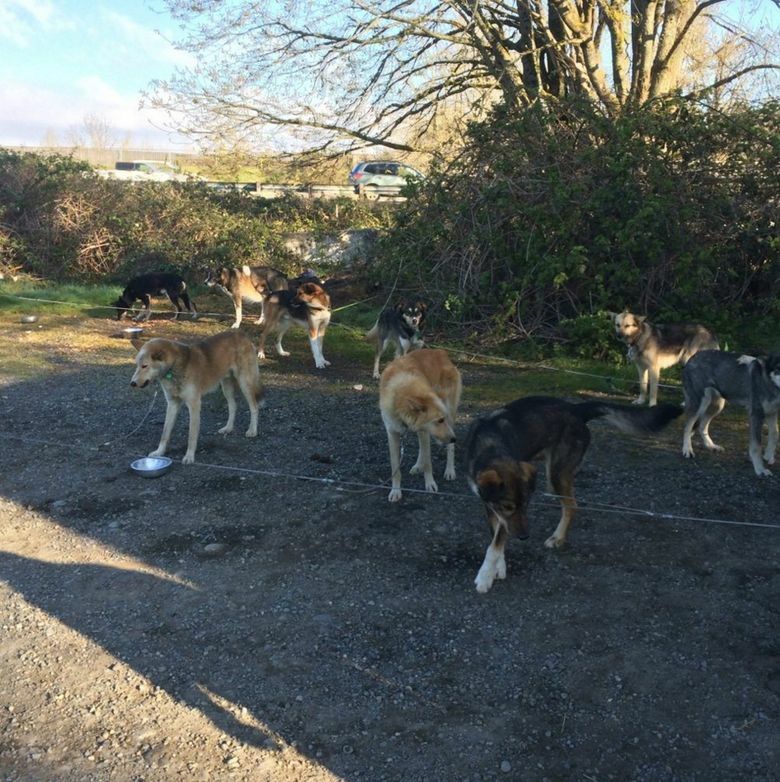 Fifty-three traveling Iditarod dogs got a helping hand from the Nisqually Tribe after they were stranded on their way home from Anchorage. 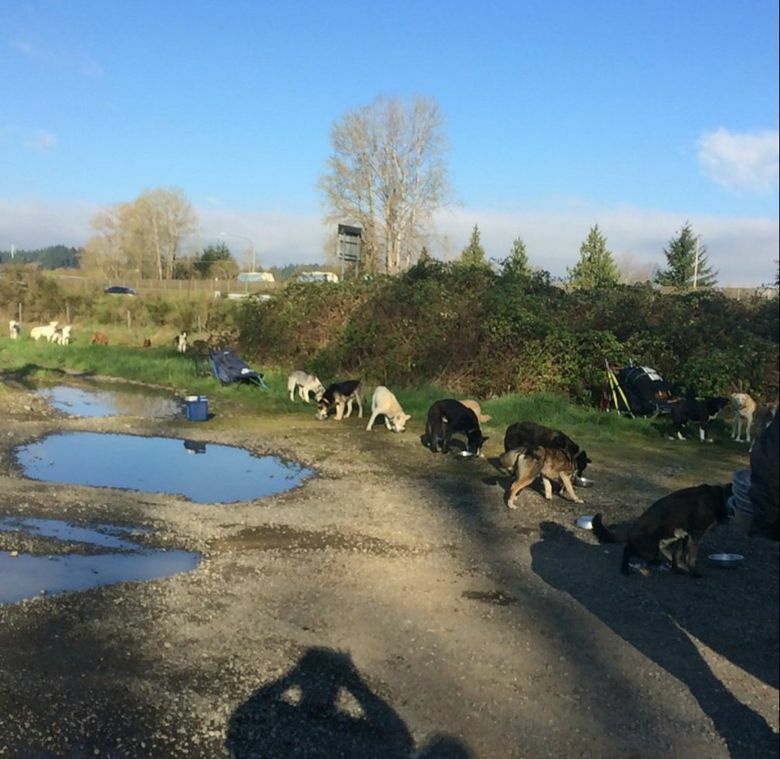 The dogs and their handlers were camped out Tuesday near Schilter Farm in Nisqually when a staff member stopped to see if they needed help, tribal planning director Joe Cushman said. The dogs make up four teams from Norway that finished competing in the Iditarod Trail Sled Dog Race in early March from Anchorage to Nome. The teams’ plan fell apart when a cargo plane wasn’t available to fly them home after the race, said musher Tore Albrigtsen. A separate flight would have cost $100,000, he said. 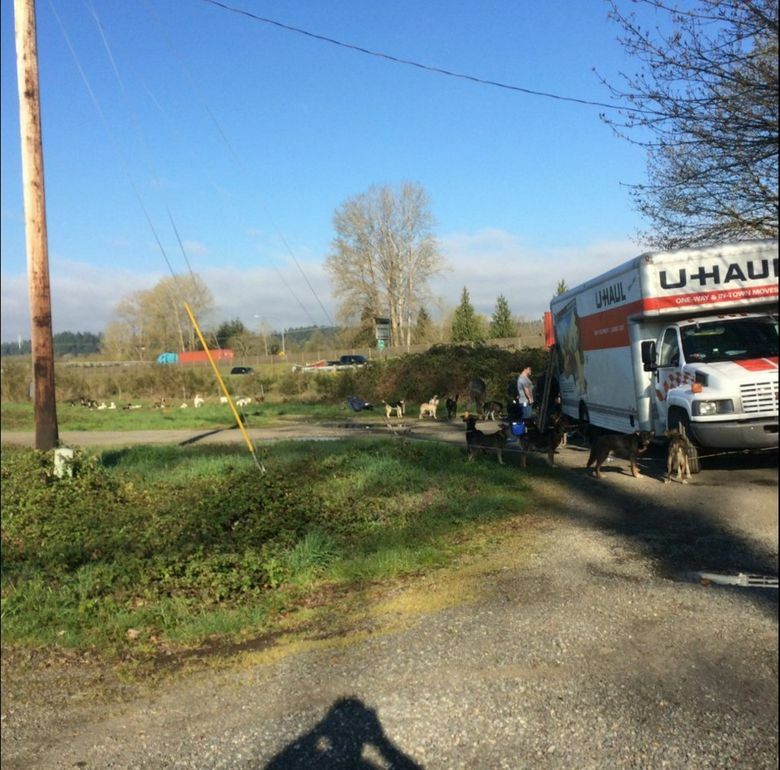 So, Albrigtsen and his three fellow mushers crated the dogs, loaded them into a large U-Haul and began driving south March 24 to catch a flight out of Seattle-Tacoma International Airport on March 30. Along the way, they sought rural sites to stake out the teams. They stopped in Nisqually after driving through the Seattle-Tacoma area. 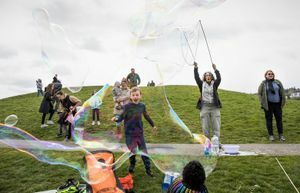 A Thurston County sheriff’s deputy stopped and told the group the office had been getting a lot of calls about the dogs, and suggested they go to the Thurston County off-leash dog park on Hogum Bay Road where there was more room, Lt. Tim Rudloff said. Then tribal employee Heidi Thomas drove by and felt compelled to help. 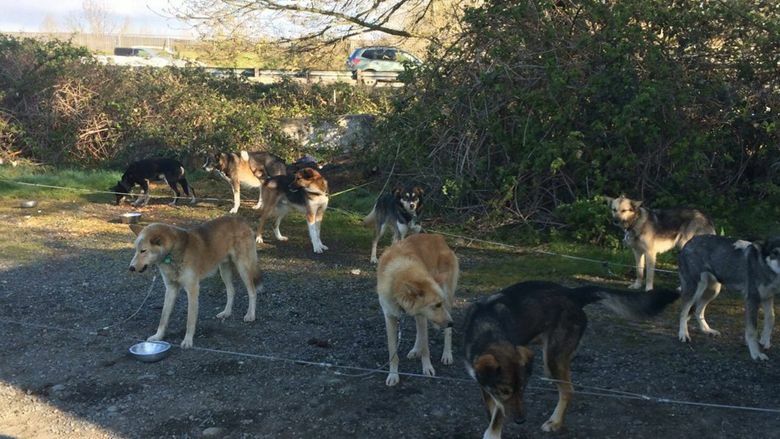 At first, Thomas was upset to see so many dogs tied on short leads, she said, but when she understood more about the situation, she called Cushman, and a plan was made to bring the dogs to the tribe’s old Bragget Farm on Mounts Road. 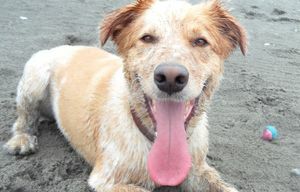 By noon Tuesday, the dogs were relaxing in the sun on their travel pickets, each with a bowl of water. Lean and bright-eyed, they looked like the endurance athletes they are. Albrigtsen, 49, said aside from racing, he is a wilderness guide and runs a sledding-tourism business.